We pride ourselves on being a comprehensive dental facility. Not only do we provide complete tooth restoration and complete smile make-overs, we are able to meet all of your family dental needs. Thorough periodontal exams, digital x-rays which utilize 90% less radiation than traditional x-rays, even TV and DVD capabilities in our ceilings, allowing you to watch your favorite movies during dental procedures, are just a few of the features which separate our dental facility from others. We even have a room dedicated to young children to eliminate the fear often associated with going to a medical office. What makes Hanson Dental special for kids? Kid-friendly fluoride treatments–you don’t need to wait to eat or drink anymore! These habits may affect normal growth and development. They can change your child’s tooth alignment in addition to their facial appearance. If your child does not need early treatment, we will still schedule follow-up exams to ensure the teeth are coming in nicely and that the face and jaws continue to grow properly. 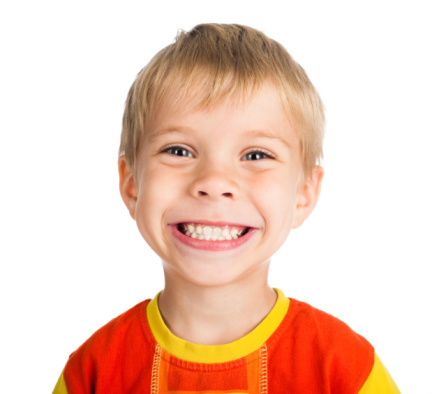 If you child is beginning to grow his or her permanent teeth, it is time to visit a dentist. If you live in the Buffalo area, please contact our office today for a initial consultation. Early intervention can bring your child’s teeth, face, and mouth into harmony. Please contact our office today.